WHAT ARE YOUR 2017 4TH QUARTER GOALS? HAVE YOU DREAMED OF STARTING YOUR BUSINESS OR ARE YOU ESTABLISHED AND WANT TO REBRAND YOUR BUSINESS? SAVE THE DATE! SAVE THE DATE! 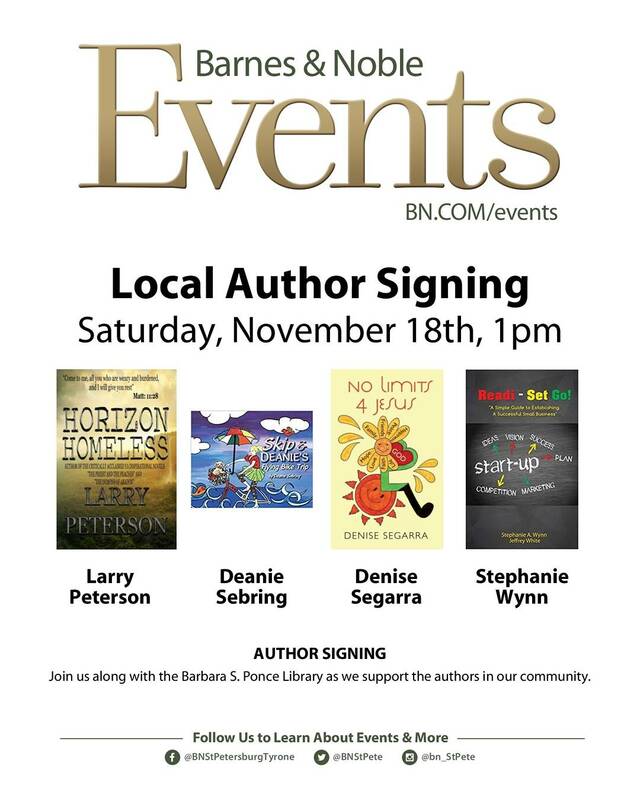 COME OUT AND MEET LOCAL AUTHOR STEPHANIE A. WYNN OF READI-SET GO! A SIMPLE GUIDE TO ESTABLISHING A SUCCESSFUL SMALL BUSINESS CO-AUTHORED WITH Jeffrey White. HAVE YOU CREATED A MARKETING BUDGET FOR YOUR SMALL BUSINESS? COME OUT AND MEET LOCAL AUTHOR STEPHANIE A.WYNN OF READI-SET GO! 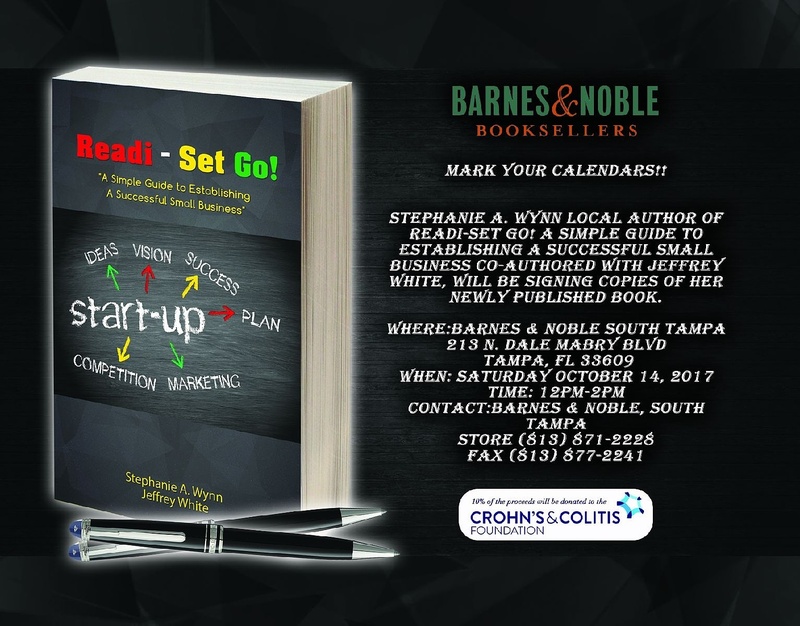 A SIMPLE GUIDE TO ESTABLISHING A SUCCESSFUL SMALL BUSINESS TO GET TIPS ON CREATING YOUR BUSINESS PLAN… I WILL BE AT THE BARNES AND NOBLE SOUTH TAMPA SATURDAY OCTOBER 14, 2017 FROM 12-2PM. TELL A BUSINESS OWNER TO BRING A BUSINESS OWNER! DO YOU HAVE A BUSINESS PLAN FOR YOUR SMALL BUSINESS? DO YOU KNOW WHAT DIRECTION YOUR SMALL BUSINESS IS HEADED? ​NEED TIPS ON STARTING YOUR SMALL BUSINESS? 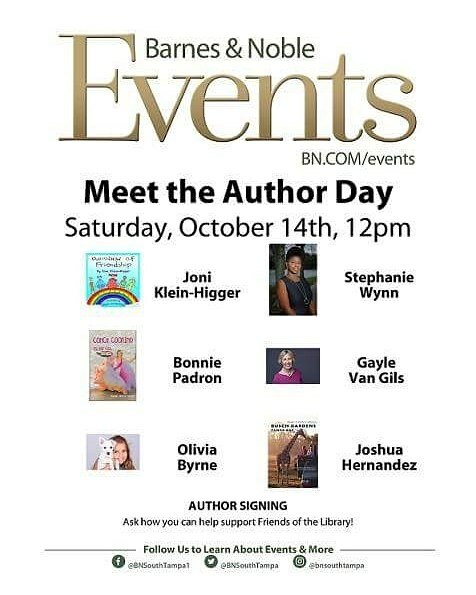 COME OUT AND MEET LOCAL AUTHOR STEPHANIE A. WYNN OF READI-SET GO! A SIMPLE GUIDE TO ESTABLISHING A SUCCESSFUL SMALL BUSINESS CO-AUTHORED WITH JEFFREY WHITE WILL BE AT BOOK’S AT PARK PLACE FROM 2PM-5PM. 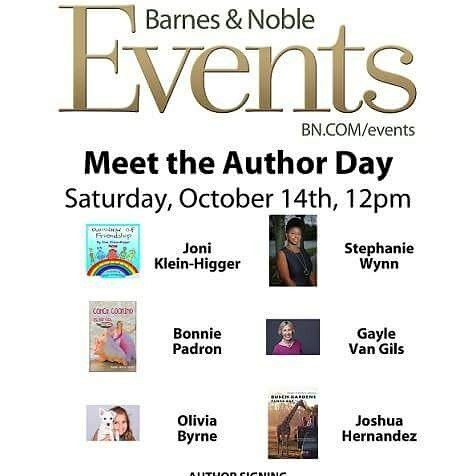 IF YOU’RE NOT ABLE TO ATTEND AND WOULD LIKE TO PURCHASE A COPY OF THE BOOK PLEASE VISIT MY WEBSITE STEPHANIEAWYNN.COM! Need Tips on Starting Your Small Business or Re-Branding? Local author Stephanie A. Wynn of Readi-Set Go! 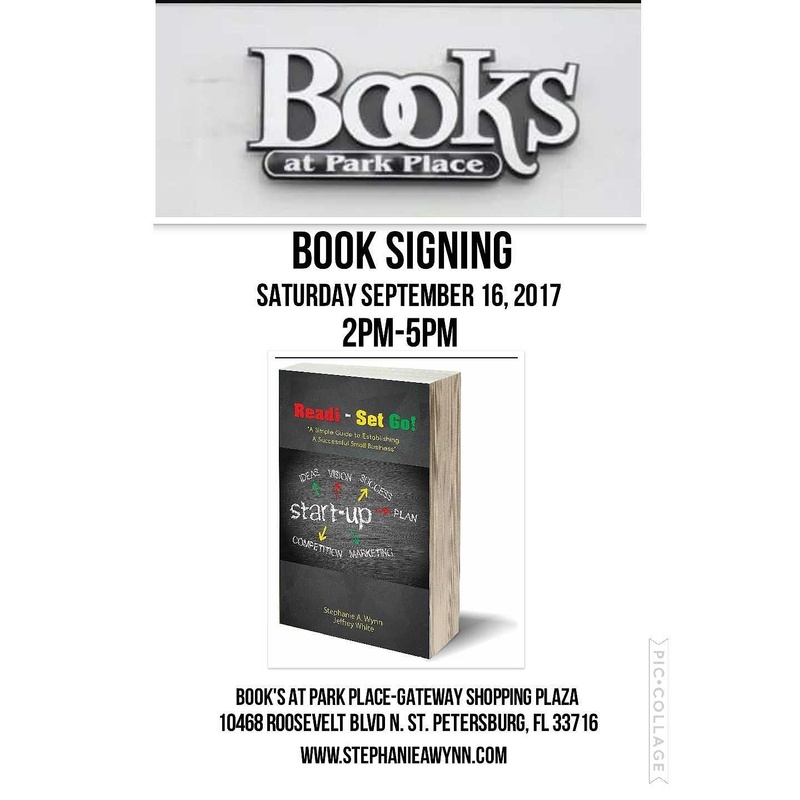 A Simple Guide To Establishing A Successful Small Business co-authored with Jeffrey White will be at Book’s At Park Place 10468 Roosevelt Blvd N. Saint Petersburg Florida 33716 tomorrow from 2pm-5pm!!!! If you’re unable to attend and would like to purchase a copy of the book please visit my website stephanieawynn.com.